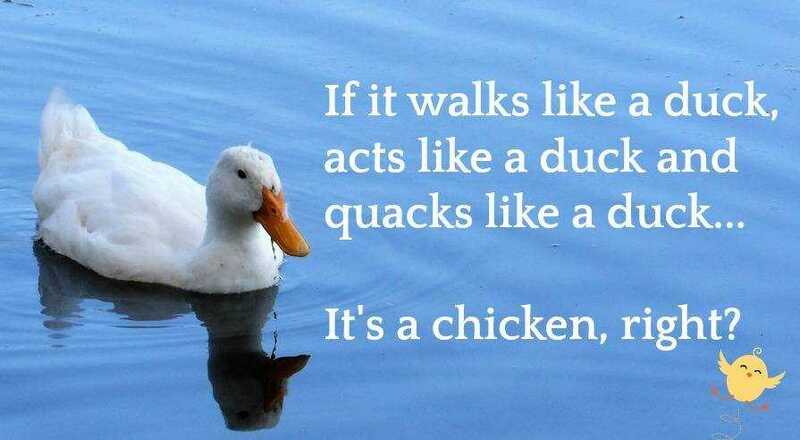 If it walks like a duck… acts like a duck… quacks like a duck, well then it’s probably a chicken. Anyone else out there as confused as me when it comes to no one being able to point out reality in the world? Recently a team consisting of 12-to-14-year-old girls were disqualified from further participating in the nationally televised championship game at the Junior Little League World Series in Kirkland, Washington. Deemed immediately “inappropriate” the league explained their “policies regarding unsportsmanlike conduct,” and disqualified the team which was contending for the 2017 world championship. Talk about a whirlwind starter. However, that wasn’t enough, there’s more wood to throw on this fire. The coach later announced the incident was retaliation to “several incidents of harassment” perpetrated by the other team members during a previous game where a player and an adult coach were ejected after being caught apparently cheating. Need a little more heat? Well the team caught cheating replaced the disqualified team in the playoffs. That blew the lid off the preverbal pot and the social media blew up with complaints. Many people supported the disqualified team but spoke out against the childish behavior and the post— citing the idiom of “kids will be kids” as an excuse — while questioning the league’s “policies regarding unsportsmanlike conduct.” Some posters even said the league was wrong for the extreme punishment of the girls because “flipping someone off isn’t really that big of a deal anymore.” Others believed the player who posted the picture should have carried the brunt of the disqualifying punishment, allowing the others to continue playing in the tournament. A few agreed with the Little League’s decision but admitted it’s a “hard lesson” to learn at such a young age. This is a microcosm of the problems within communities across the world. No one wants to accept the blame when something goes wrong, and these girls learned that lesson well. Ultimately, being young juveniles old enough to know this particular action is disrespectful, it was their fault. They stood and posed for this picture without any apparent reservations. Yes the person who took it is just as guilty, and so is are the people who posted it. So is the coach and possibly a few parents, because it’s apparent they weren’t keeping an eye on the team. Who was supposed to teach the team, the individuals themselves, that it was wrong in the first place and there’s consequences to a person’s wrong actions? A child who knows they will get in trouble — what ever that punishment might be — when they get home are inclined to not be involved in bad behavior in the first place. Punishment? What a medieval concept! Every human makes mistakes, but it’s how those mistakes are corrected that make us better people. use sportsmanship. It seems the lessons are being skewed. While the girls involved are probably not bad children, there is a problem that this behavior is considered nothing to get worked up over and slightly acceptable to the grown ups. Talk about confusing messages regarding acceptable behavior. Whether it’s kids or adults it’s time to take the blame for the faults in this world and then work toward change. If there is punishment for those actions, well, it might not be politically correct, but it’s about time society as a whole starts calling out the ducks of this world when they see them.